Nichols Concrete Cutting was started by Phil Nichols in 1975. Phil Nichols obtained his contractor’s license (397406), started his company operating as Nichols Diamond Tool and incorporated in 1982. Being a trained machinist Phil applied his knowledge to his concrete core drilling company and over time he steadily grew. He hired new operators, obtained slab sawing, and wall sawing equipment through the years creating a full-service concrete cutting and selective hard demolition company. In 1999 Nichols Diamond Tool Inc. changed its logo and created a DBA of Nichols Concrete Cutting to correctly reflect the operation of the business. Nichols now employs 20 people with 15 highly trained and versatile union operators and laborers ready to be dispatched to service all your concrete cutting needs within the greater San Francisco Bay Area. 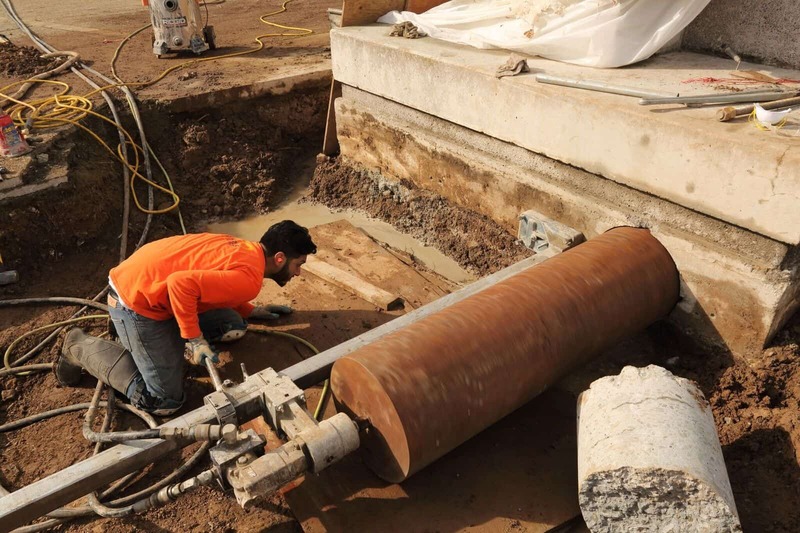 Nichols Concrete Cutting provides our customers with friendly, trained, experienced, punctual, trustworthy personnel, and is a trusted and knowledgeable company at your service. Phil started his career as a toolmaker apprentice at the Richmond machine shop in Pikeville, Penn. He served as a machine repairman on the USS Neches 047 during the Vietnam War. After Vietnam, he went to work for Mack Trucks as a machinist. In 1970 he moved to California and continued in the machine shop trade making diamond bits for concrete cutting, where he studied metallurgy. As each diamond bit had to be test drilled, he also learned all the ins and outs of concrete cutting and started Nichols Diamond Tool in 1975. Phil is an accomplished sculptor and using the GI Bill he earned his Associate Arts degree from Canada College, Redwood City. He continued his studies in sculpture through private teachers in the US and France. He has recently built a studio at his home. He has a strong interest in philosophy and he loves baseball. Nichols sponsors a league team and both Phil and Larry play regularly. Larry Weber, the Vice president of Nichols Diamond Tool Inc., is in charge of providing good customer service and managing and caring about the company personnel. He has managed Nichols under Phil’s ownership for over 30 years. Larry was recruited as an experienced saw cutting operator in 1983 and became Forman in 1985 requiring him to run projects and crews in the field. He learned how to read plans and project management and in 1987 he was promoted to estimating and because of being a small company he also had to take on project management responsibilities, scheduling, and field superintendent work. Through the years, Larry has managed estimators, personnel, creating and implementation of the employee’s safety program, handles insurance, and procurement of equipment ext. Due to his extensive experience and understanding of the industry, he has proven to be a successful manager and is providing the leadership for the continuing growth of our company future. Larry is a Bay Area native; born, raised, and currently lives in San Mateo County. He enjoys spending his free time in the outdoors, fly fishing, and hiking. 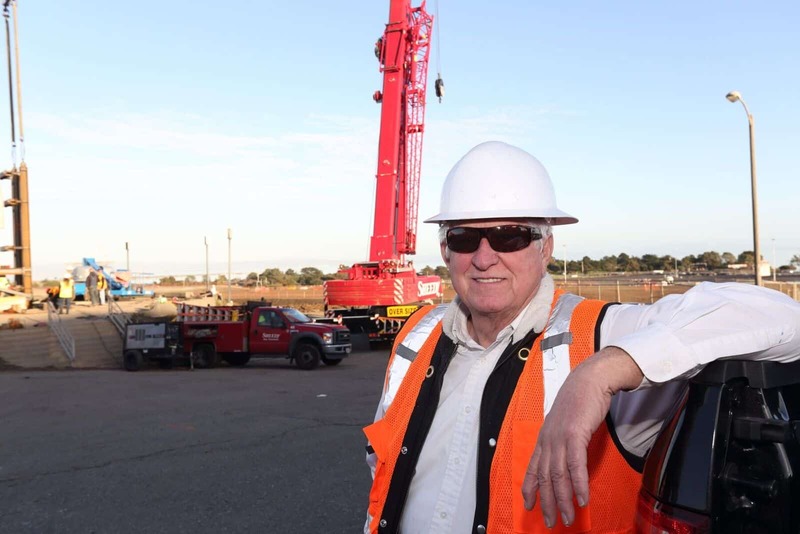 He has been involved in various volunteer originations, including holding office as a past president of the Peninsula Builders Exchange and is a current member of the board.